Everyone knows that true Scottish Men do not wear underwear beneath their kilt, and this comical fancy dress costume proves exactly that. 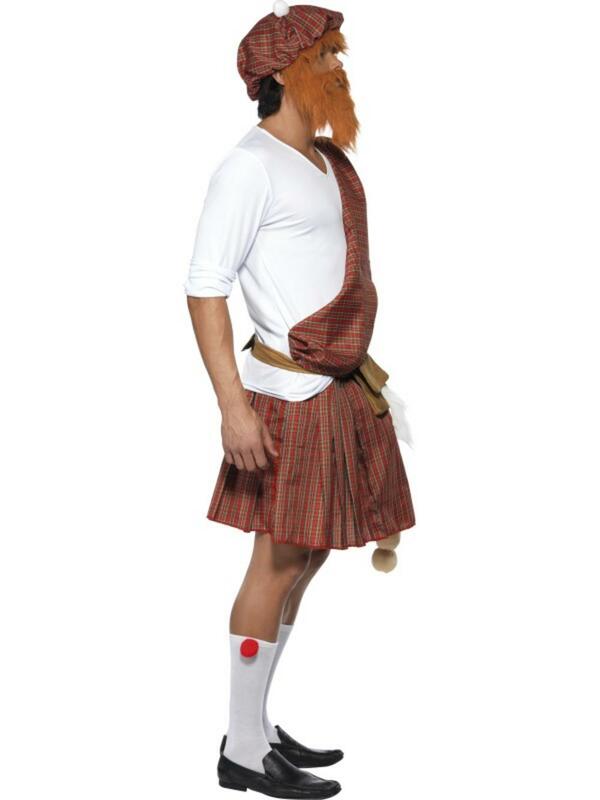 The Well Hung Highlander costume is perfect for making a huge entrance at any fancy dress party and is proving to be a huge hit for Stag parties. The costume includes everything for turning you into a rowdy Scottish flasher and consists of a red tartan kilt sash and sporran, a white short sleeved top, socks, hat with attached ginger beard and wig and of course the larger than life endowment which is enough to bring tears to the eyes of even the toughest of Scot. A hilarious fancy dress costume perfect for a Stag night!